General Questions/Requests for Information Email [email protected]. 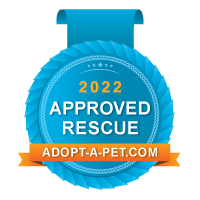 To Adopt our dogs Email [email protected] or visit our Adopt page. To receive more information on our foster program Email [email protected] or visit our Foster page. Volunteer Questions? Email [email protected] or visit our Volunteer page. For help re-homing your pit bull, finding a pit bull friendly rental, locating spay & neuter clinics, and more, please visit our Resources page or email [email protected].